Well.. I found the mouse movement to be odd -- maybe because I needed to move too much the mouse (I'm used to small mouse move = big pointer move). Other than that... it's good. I guess you used that model because it seemed like the best one you had, so no intentions whatsoever were made for it to be a Helicopter (or something like one). And if you did, I'll assume you would add any other feature an helicopter would have later on. I guess you used that model because it seemed like the best one you had, so no intentions whatsoever were made for it to be a Helicopter (or something like one). After my difficulties to work with a designer on a 3rd person shooter, I've decided to focus on a game entirely based on existing game packs. The choose of vehicles follows the same goal, from my point of view, vehicles are far more easy to integrate than animated characters. After my difficulties to work with a designer on a 3rd person shooter, I've decided to focus on a game entirely based on existing game packs. To be honest the white dude looked pretty cool. But I guess you can't make a game and expect people to like it, or at least not complain. And since you have the option of already made game packs, there is no sense on trying to over-complicate it and extend time just because you need original models. About your choice of Vehicles instead of Characters: I can imagine why. It takes less work and they usually are less complicated since they don't have (most of the time) mobile parts, and those that do aren't that much. I suppose code-wise and gameplay wise vehicles are easier to work with. To be honest the white dude looked pretty cool. We've done a lot more, the designer I've chosen was very good. The problem is more related to delay, availability and communication. Someday I will post some picture of our design work. My current purpose and my goal for 2011 is to fight my main enemy: I must focus on a simple and reachable project. I must avoid complexity and too ambitious goals. After implemented something near what I want with manually computed movements, I'm trying to do it with the physic engine of Unity. On long term, the physic engine has many benefit. 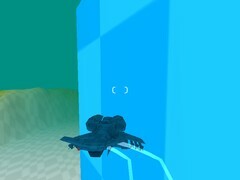 I guess there's a little problem with the second air side demo (MyProject2011-03-24-air-side): there's no collision. It looks pretty nice . I think it would looks best if it would bounce off just a little and turn away from the surface when hit. Yes, this demo is old, it was before I implement collisions. I think it would looks best if it would bounce off just a little and turn away from the surface when hit. It's planned. I currently working on collisions, I will release a playable demo when it's done. I've finally coded something near my first implementation, but with the physic engine this time. The next step is to correctly manage collision between moving objects. The red ships are moved by an old script, not based on physic.